13" O.D x 34" H Spiral-Flo 80/20 Polyester/Cellulose Twist-Lock Pneuma-Pulse w/Galvanized End Cap | Air Filters, Inc.
Air Filters, Incorporated™ Spiral-Flo™ Twist-Lock Pneuma-Pulse Cartridge MERV 13 80/20 polyester/cellulose retrofit replacement for Cylindrical Cartridges offer a convenient alternative when replacement of the original cartridge is necessary. Spiral-Flo™ Cartridges are used in gas turbine air intake systems, as well as freestanding dust collector systems. By offering exceptional filtration and low pressure drop your turbine can operate at maximum efficiency over extended filter life. 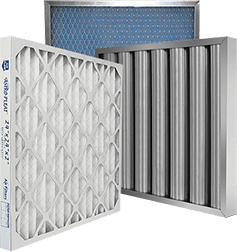 Cartridges are constructed with Twist-Lock and a one piece molded gasket with expanded galvanized inner and outer wraps around both the inside and outside of the filter. A spiral glue bead around the outside ensures pleat 80/20 polyester/cellulose locking to add security to the filter in critical conditions. 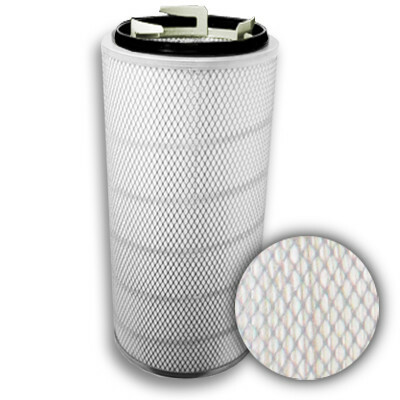 Available with outside banding for ease of pulsing the filters clean.